Make the crust first: Place cupcake papers in a 12-slot muffin pan. In a blender or Vitamix, add the filling ingredients. Blend on high until silky smooth. If flavoring with blueberry, add the blueberries to the blender and mix until smooth. 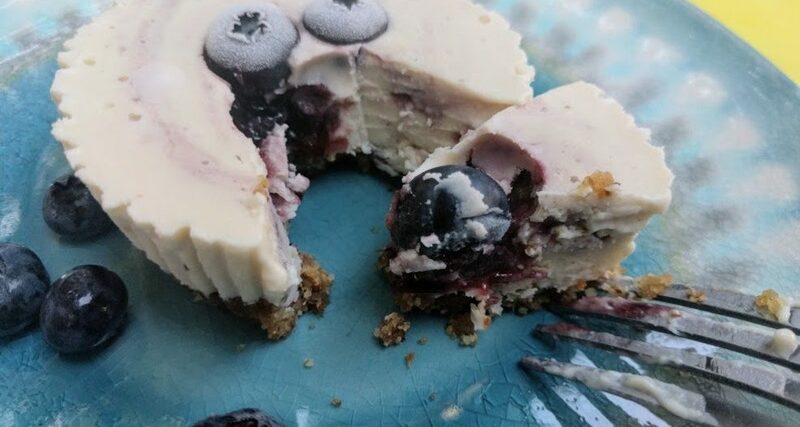 Or, add blueberries (or blueberry jam) to plain cheesecakes in the pan and swirl in.